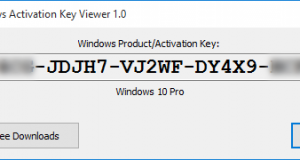 A newer version of the Windows Activation Key Viewer Free was released. What’s New: Fixed compatibility problem with Windows XP. Added detection of Windows platform type 32-bit or 64-bit. Digitally signed the executable file, so there is no warning from any anti-virus.